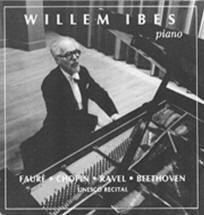 Below is a list of available recordings by Williem Ibes. All CDs can be purchased at the College of St. Benedict / St. John's University Bookstores. Beethoven acknowledges two men as his role models, Socrates and Jesus. 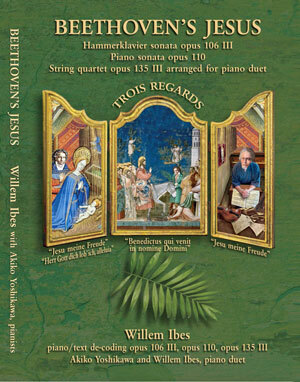 The three works in this album honor the latter, Jesus of Nazareth. 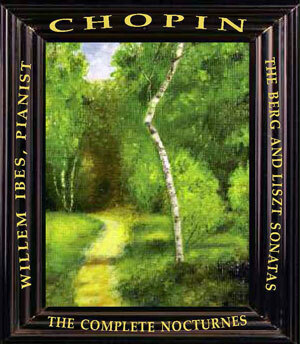 Twenty five years ago I made my first professional recording, the Complete Nocturnes by Chopin. A few years ago I felt the urge to do it again. I was hard put hard to grasp the urge myself, but as I listen to the proofs of my latest CD, I can identify some of my reasoning - reasoning, as Pascal noted, of the heart, not the mind. When in the autumn of 1952 I walked up the Champs Elysées and descended the Avenue de la Grande Armée to have a first meeting with Marguerite Long, I knew French composers almost solely by name and, after my first lesson with Mme Long a few weeks later, I had to realize - as my teacher did - that I was a hopeless case. 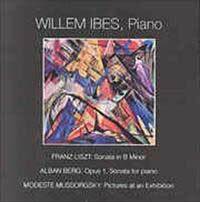 Bach, Brahms, Beethoven yes, Fauré and Debussy, never. 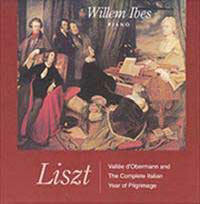 This CD and the research that forms its foundation was twelve years in the making. The movie I saw in 1994, "Immortal Beloved," spurred me on to address once again (how many accounts had I read already!) the question of the Immortal Beloved's identity. Who could that woman have been to whom Beethoven addressed (in very sloppy handwriting, written with "her" pencil!) the ten-page letter, found, after the composer's death, in a secret drawer of his desk, which contained those tantalizing words: "unsterbliche Geliebte," "immortal Beloved"? 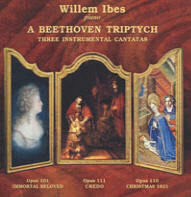 This CD features a first attempt to translate my discoveries concerning the Immortal Beloved in sound. The booklet details how I arrived at my understanding of her identity and how the name "Dorothea" permeates the work from beginning to end. In fact, the whole sonata develops seamlessly out of the motif contained in the first two measures. I have had to make an Herculean effort to not fall victim to " the romantic virus" and some of that effort shows; but at least the "silences of articulation" are in their proper place (mostly) so that Beethoven's great love-paean becomes intelligible.I prefer my later recording of the work (in " A Beethoven Triptych") but there is in this present album the undeniable excitement of a first love-affair. Buy Now: Beethoven: Sonata Opus 101 "Immortal Beloved"
Liszt's B minor piano sonata is by general consensus one of the greatest works written for the instrument. In the sonata principle of two contrasting thematic environments Liszt finds the ideal vehicle for conveying the eternal struggle between the two poles of our earthly existence, Good and Evil, Hubris and Piety, Death and Resurrection. In "The Italian year of Pilgrimage" List is the consummate tour guide who has distilled for us, in less than one hour's listening, the essence of the life, visual art and literature of Renaissance Italy, a tour that even today is de rigueur for the tourist who wants more out of this trip than a few fine souvenirs. There is the buoyancy of Salvator Rosa's Canzonetta as it could still be sung on the streets of Naples, the serenity and intensity of Rafael's "The Betrothal (of Mary and Joseph)," the somber meditation on Lorenzo de Medici's sepulcher in Florence. Further, of course, the great early vernacular poets, represented in respectively the monumental "Dante Fantasia" and three moving Petrarca's portraits of his great love, Beatrice. The "Vallée d'Obermann" from the First Year of Pilgrimage (Switzerland) laments: "I have experienced it all in that memorable night. I have … devoured ten years of my life." In the fall of 1990 I was invited to give an address, to an overflow crowd, in the Grande Salle of the Unesco in Paris for the opening of the first International Congress on Haptonomy, to be followed by a piano recital. 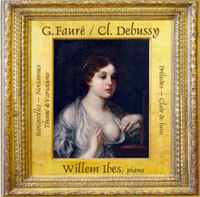 The address was entitled, "La Musique: Plénitude du Présent" (Music: the Fullness of the Present). The recital which took place that same evening is represented on this disc.